The Beckford Journal has been published since 1995 to fulfil the society’s aim of supporting Beckford studies and scholarship. Contents of all volumes are listed below. The first four volumes are available for download below. Please note that each journal is a significantly large PDF file between 35 and 40 Megabytes in size. William Beckford and Music 5. The Fonthill Abbey Organ? Liber Veritatis or Why Has the Child been so Abused? Why did William Beckford buy Edward Gibbon’s Library? Denis Brickles, Beauty and Glory. “A Bull-Pit Where The Slaughter Is Secondary The Brilliant Display Of The Critic’s Mastery Of Invective”. The Beckford Society’s Annual Lectures 1996-2010 are available in a series of four volumes. These may be obtained from the Society’s Secretary, or by ordering in the UK at your usual bookshop. Edited by Jon Millington. 2000. 80pp. Paper cover. ISBN 0-9537836-0-X. Price £6. John Wilton-Ely: Beckford’s Fontill Abbey: A Theatre of the Arts. Joao de Almeida Flor: Portuguese Tears and Treasures: On Beckford’s Literary Fortune. William Hauptman: William Beckford as Connoisseur and Collector: Some Remarks from the Art Historical Perspective. Michel Baridon: From Beckford to Mallarmé: The tradition of L’Art pour l’Art. Edited by Jon Millington. 2004. 88pp. ISBN 0-9537836-2-6. Price £6. Kevin L. Cope. How Beckford Keeps Making Himself Relevant; Or, Is the Millennium an ‘Incident’? Edward Chaney. Gibbon, Beckford and the Interpretations of Dreams, Waking Thoughts, and Incidents. Kenneth W. Graham. Between Restriction and Ostracism: William Beckford’s Rebellious Episodes of Vathek. Mirella Billi. The Impact of Italy on Beckford’s Taste, Aesthetics and Literary Style. Edited by Richard Allen. 2008. 72pp. Paper cover. ISBN 978-0-9537836-4-9. Price £6. David Watkin. Thomas Hope, Designer, Collector, Patron: New Links with Beck ford. Kim Sloan. ‘Amusements of solitude’ and ’talismans of transport’: William Beckford and Landscape Painting in Britain and Abroad. Rictor Norton. Oddities, Obituaries and Obsessions: Early Nineteenth-Century Scandal and Social History Glimpsed through William Beckford’s Newspaper Cuttings. Edited by Bet McLeod. 2013. 96pp. Paper cover. ISBN 978-0-9537836-5-6. Price £7. Bet McLeod. 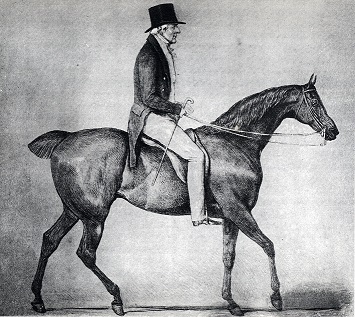 Family Connections: from Fonthill Abbey and Bath to Hamilton Palace. Daniele Niedda. Vathek’s footprints; Beckford’s Entry into the Italian Literary Canon. Perry Gauci. William Beckford and the City of London. Peter Sabor. Modern Novel Writing and Azemia; William Beckford and the ‘divine authoress’. CONVERSATIONS WITH BECKFORD reproduces in facsimile original articles from the New Monthly Magazine. The introduction and index of names is by JON MILLINGTON, author of William Beckford: A Bibliography (2008), and founding editor of the Beckford Journal. For more information or to order your copy, please download the order form.